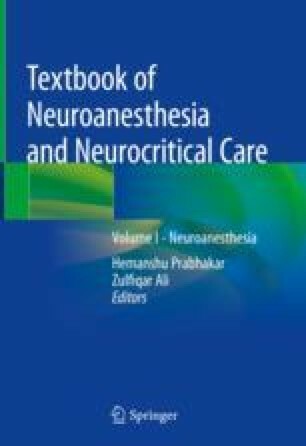 This chapter discusses the complications encountered when administering anesthesia for neurologic surgery. Complications discussed include those directly related to intracranial surgery such as venous air embolism, intracranial hypertension and herniation, pneumocephalus, and postoperative seizures, as well as those related to the effects of neurologic injury or surgery on various organs including the cardiovascular, pulmonary, and renal systems. In addition, a discussion of delayed emergence is included as well as unique complications encountered during spinal surgery of cardiopulmonary resuscitation in the prone position and airway management pitfalls in the patient with cervical spine disease.